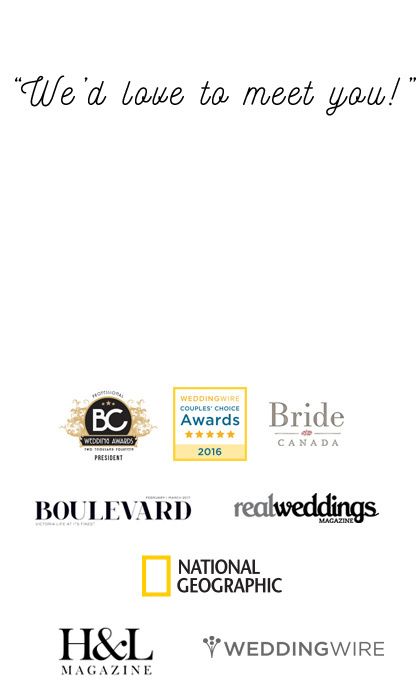 With the few dry days we’ve had this Winter and Spring, it’s meant a lot of rainy photo shoots these days, but that’s just fine with us being professional Vancouver wedding photographers (plus we also had our business in rainy Manchester, England complete with the sideways torrential rain of Northern Northern England!). 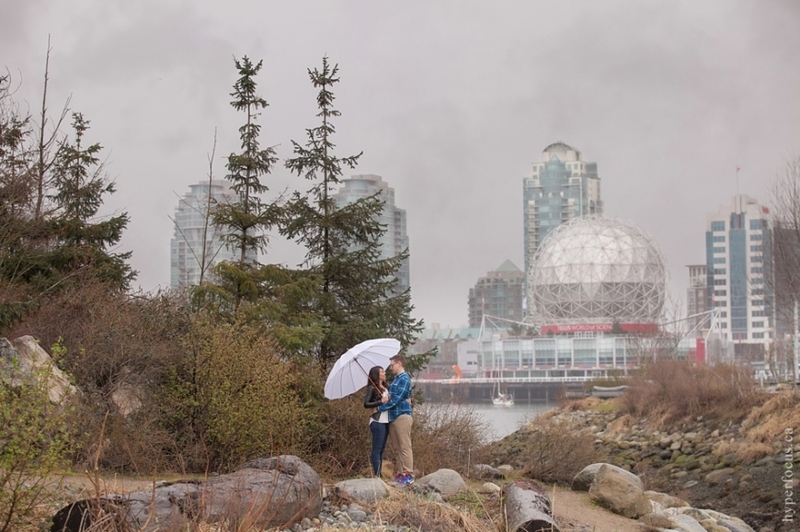 When Nicole and Kris arrived into Vancouver to have their Vancouver engagement photo session with us in the Olympic Village, of course, it was raining. 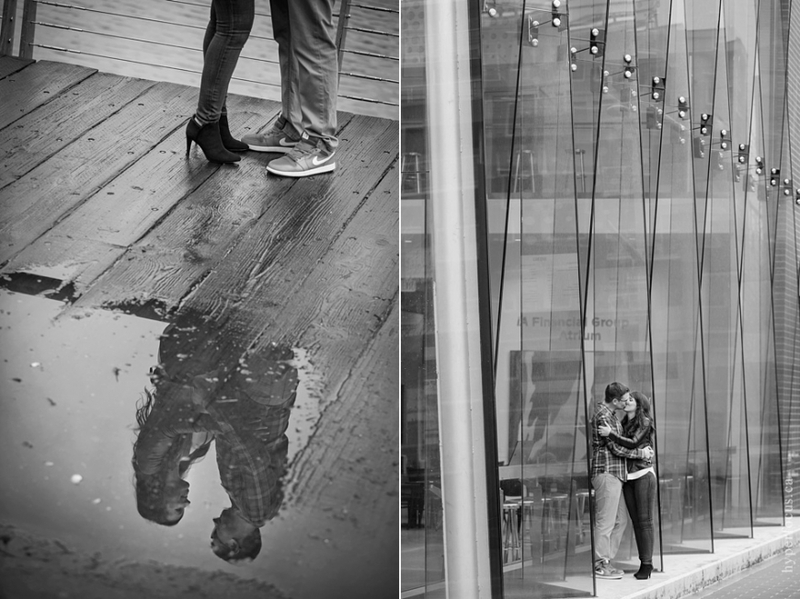 Since they were only in town for a few days, we went ahead with their session and made the most of it with a few lucky breaks in the rain. It was so lovely to meet them both for the first time, get to know them a bit and hear about the plans they have for their wedding this summer at Camp Howdy, which we are really looking forward to.